Is work-study right for you? A financial aid advisor explains what work-study is, how to find out if you’re eligible, and what kind of work-study jobs are out there. When you’re considering how to pay for college, one option that you’ve probably heard about is work-study. 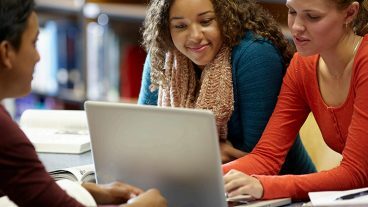 The U.S. Department of Education says federal work-study (FWS) is a part-time employment program that helps qualifying students to finance the costs of college. In other words, you qualify to work a specific job, earn money, and then you can use that money to pay for college costs. The government subsidizes your pay. Currently, approximately 3,400 schools offer FWS as a form of financial aid to students. JT Peifer, a financial aid advisor at the University of Virginia, has the answers to all your work-study questions, from eligibility to fund usage. Read on and learn more about work-study, to see if it’s right for you. Tell us a little bit more: What is work-study? Work-study is a federal work program available for students with demonstrated need, which falls under the designation of campus programs within the Higher Education Act. This means that although the funds are designated from the federal government, and some eligibility criteria is moderated through the Department of Education, the school may maintain separate eligibility requirements as long as they do not contradict the federal strictures. The program pays no more than 75% of wages to eligible students, with the school, nonprofit program, or government agency paying the other 25%. How do you know if you’re eligible for FWS? If your school is Title IV eligible, after you complete their need-based financial aid application process (FAFSA and sometimes the CSS Profile), you are notified of your eligibility via your financial aid award. Are funds applied to your tuition? No; these funds are wages that are paid to the student through a paycheck. So, they should not be anticipated funds when considering the cost of school. 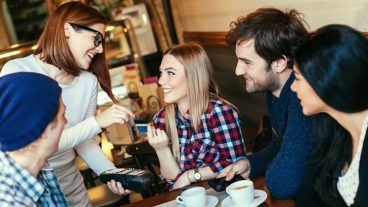 Most students use these funds for living expenses, books, and other personal expenses, as they are not available to pay your tuition bills at the start of your semester. Most students use these funds for living, books, and other personal expenses, as they are not available to pay your tuition bills at the start of your semester. How do earnings impact FAFSA? Currently, the FAFSA looks at the prior year’s income information for students. 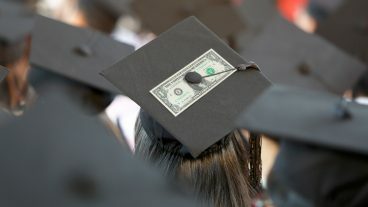 Since FWS counts as wages, it would be reported within the student’s annual gross income and thus listed on the FAFSA. However, there is space for reporting the portion of income that was need-based financial aid. Is FWS guaranteed from year to year? No, Title IV aid is moderated by a student’s need, which is subject to change each year — so a new FAFSA application is required each year! Are all work-study jobs on campus? No, some jobs may be off campus (at federal, state, or local public agencies, or certain private nonprofit or for-profit organizations) as long as there is a public service component. However, the funds allocation is moderated through the school’s financial aid office. This mean that the work agreements between off-campus employers must be made in satisfaction standards set by the Department of Education for work-study positions — so not just any off-campus job can be considered work-study. Can you have a work-study and a non-work study job? Nothing prevents you from working an FWS and a non-FWS position, but it’s important to consider your scholastic performance while earning money in the short term. College is an investment, and spreading yourself too thin may hinder your academic performance. Nothing prevents you from working an FWS and a non-FWS position, but it’s important to consider your scholastic performance while earning money in the short term. Are there any drawbacks to having a work-study job? As we just discussed, one drawback is not having as much time to study or do schoolwork for the short-term gains of money. Your college performance and degree can have a big potential impact on your future and your future earnings. Having good time management is important as a working student. Learn more about paying for college beyond work-study at Get College Ready.